A car accident can happen with no warning, and the consequences of some of these accidents can be quite critical. Negligent driving can leave people suffering from injuries, and these collisions can impact people’s lives in negative ways for years to come. All drivers must remember they have a responsibility to drive attentively and follow traffic laws. On May 30, a traffic accident involving two vehicles was reported to the Boston Police Department. Emergency personnel first heard about the accident around 6:20 in the morning, and they arrived at the scene shortly afterwards. The accident occurred on Harrison Avenue. Officer Brian Lydon was one of the first people to arrive on the scene and support arrived soon after. Upon arrival, first responders found that at least one individual had sustained injuries, so they administered medical care to this individual. The extent of the injuries is still being determined. While the cause of this accident is still being determined, it is important to remember that negligent driving can cause accidents. We ask all drivers to remain aware of their surroundings at all times. Drivers who do not pay attention to what is happening around them could end up causing serious collisions. We at the Law Offices of Jeffrey S. Glassman see the consequences of car accidents on a daily basis in the cases we help with. We are members of this community, and we want to urge all drivers to follow traffic laws and do their part to keep roads safe. 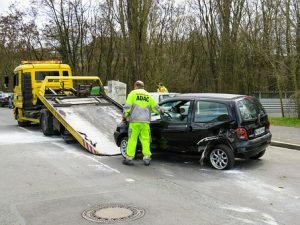 However, we know that accidents can happen to even the most cautious drivers, so we are also here to help victims get help so they can focus on their recovery.